Vatican City, Nov 9, 2017 / 06:52 am (CNA/EWTN News).- In a move likely to have some Vatican employees fuming, Pope Francis has decided to ban the sale of cigarettes inside the City State on the grounds that the Holy See cannot profit from a proven health hazard. Available for sale exclusively at “Palazzo della Stazione,” the building that sits in front of the Vatican's small train station, the cigarettes have until now been sold at a lower price than in tobacco stores around Rome, making it an ideal place for smokers holding a Vatican employee card to pick up their next pack. However, citing numbers from the World Health Organization, Burke noted how each year some seven million people throughout the world die due to smoking-related causes. Despite the fact the cigarettes sold to Vatican employees and pensioners has been a source of revenue for the Holy See, “no profit can be legitimate if it puts lives at risk,” Burke said. 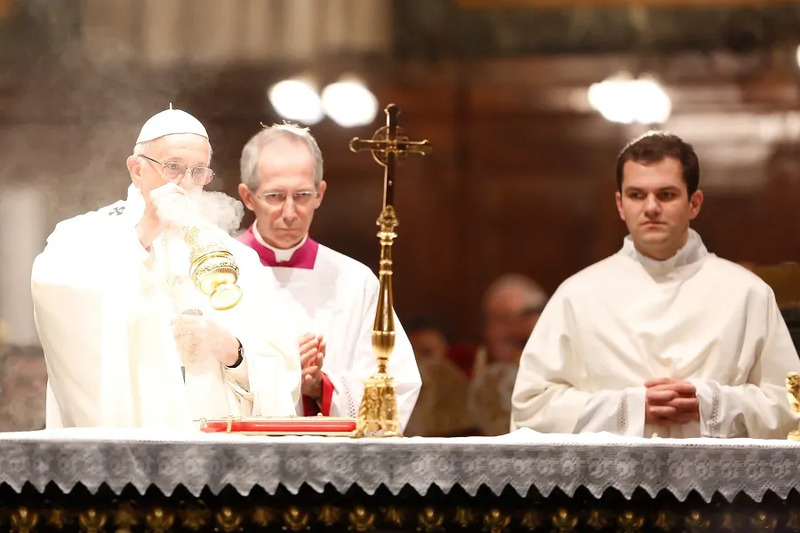 While Pope Francis himself doesn't smoke, the habit is practically considered a national vice in Italy, and many even within the Vatican can be found to have a pack or two on hand. However, the Pope's decision to crack-down on cigarette sales in the Vatican brings him on par with other European countries who have enforced comprehensive smoke-free laws, the most strict being found in Ireland, the UK, Greece, Bulgaria, Malta, Spain and Hungary. Vatican City, Feb 19, 2017 / 01:21 pm (CNA/EWTN News).- The path to holiness and sainthood, Pope Francis said, requires imitating Christ by loving our enemies and praying for those who wrong us even when it is difficult. The synod of bishops on young people, the faith, and vocational discernment is being held at the Vatican Oct. 3-28. A compass for the Instrumentum Laboris, the irreplaceable role of both father and mother in the family, tasks of Catholic schools, and the importance of memory – these are some of the issues raised in language groups during the synod on Monday. October 8 was entirely devoted to working in language groups. “We tried to center our attention on the first part of the Instrumentum Laboris. We have found that this text needs a compass, that is, an orientation, that would give meaning to the whole. This compass could be the passage in the Gospel of John about the young man who brings five loaves and two fishes (Jn 6:9–13). The little that he has with him is distributed by Jesus and nourishes many people. 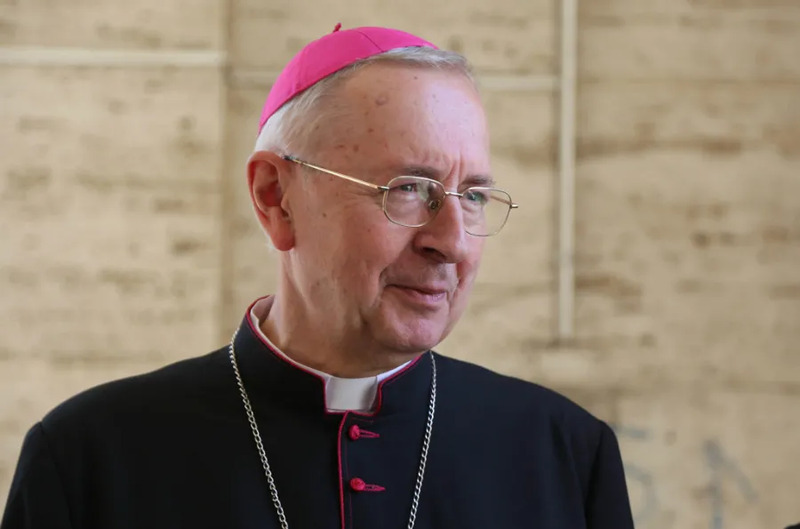 This would indicate that every young person has something to offer not only to the Church but also to the world, simply because he or she exists and has gifts to share,” said Archbishop Stanisław Gądecki of Poznań, President of the Polish Bishops’ Conference. Another topic was the attention to the fact that both the father and the mother are responsible for the family and share the duty of education in the family. “Not mother or father separately, but mother and father together, thus avoiding the phenomenons of paternalism or matriarchy, linked to the different situations on different continents. In the African context, it is the mother who bears the main responsible for the family’s life, whereas in other places in the world the father alone makes the decisions,” noted Archbishop Gądecki. The third issue that the bishops talked about, and which was missing in the working document, is the ‘memory’, that Pope Francis often speaks about. “You have to give value to the memory. Young people tend to run towards the future, to diminish the value of the present, so they should be taught to appreciate memory,” emphasized Archbishop Gądecki. The bishops also drew attention to the question of the Catholic schools, emphasizing the common good they create. “Catholic schools do not work for themselves, they are not only for Catholics, but they serve the common good. In this sense, they are worthy of state support, because they fill gaps that the state cannot fill,” said Archbishop Gądecki. On Tuesday, October 9, the results of the group discussions will be presented in the Synod Aula. Vatican City, Apr 27, 2017 / 12:08 am (CNA/EWTN News).- Pope Francis has donated the rent for a private Italian beach that allows disabled people to enjoy the shore, the charity that manages the project announced this week. The group Work of Love, a Catholic non-profit, has rented part of the Little Madonna beach located near Rome since 2012 in an effort to give disabled people better access to the beach. It is equipped with ramps, walkways and specialized beach chairs and water-friendly wheelchairs, and includes amenities such as a snack bar, changing rooms, and showers. The beach is run by a group of volunteers and specialized FINP (Italian Swimming Federation Paralympic) staff and is open every day of the week during peak summer swimming season. The beach is the only one of its kind in the region, and was created to allow all people to enjoy the beach “without architectural and mental barriers,” the group states on their site. It is not the first time Pope Francis has sponsored trips to the beach. 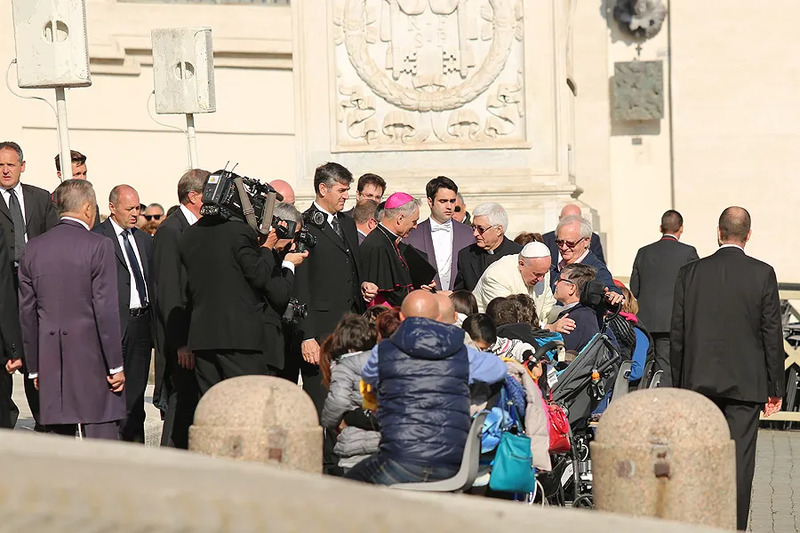 Last summer, Archbishop Krajewski told Vatican Insider that the Holy Father had been treating Rome’s homeless to beach trips followed by pizza parties, sometimes with the Pope himself serving up a slice. He said the van would take about 10 people each day to go swimming on the Italian coast, nearly 20 miles from Rome. The archbishop drove the van, while passengers sang and listened to the radio. At the beach, each guest was offered a swimsuit and towel and afterwards was treated to pizza. “We certainly are not saving the world with some of these initiatives, we are not solving the problems of the homeless in Rome, but at least we are restoring to them a little dignity,” Archbishop Krajewski said at the time. Other initiatives carried out by Archbishop Krajewski on behalf of the Pope include a dormitory, barber services and showers for those in need. In 2015, the Pope invited a group of homeless people in Rome to the Sistine Chapel. In 2016, he invited 2,000 homeless people and migrants to the circus. Pope Francis also sent an electronic scooter to an elderly couple with disabilities, who had difficulty getting around. He has also given Christmas gifts to poor migrants and umbrellas to the homeless. Read this article with interest. Thinking his holiness must lead by example. Pleased taken this step. Leaders lead so well done.